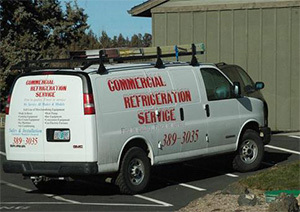 Commercial Refrigeration Service offers residential and commercial heating and cooling repair and replacement services, as well as commercial refrigeration and restaurant equipment repairs. As a local business, we’re committed to providing the services our clients need, including same-day and emergency repairs. For property owners, heating and cooling systems are among the most important components when it comes to maintaining a comfortable, safe and healthy environment. To ensure your property is benefiting from its HVAC system to the fullest extent, you need an HVAC contractor that’s able to provide first-rate heating and air conditioning repair in Bend, OR. Since 2000, Commercial Refrigeration Service has been just that contractor for countless area homeowners, restaurant owners and more. We offer repair and replacement services for heating and cooling systems, as well as commercial refrigeration and a full range of restaurant equipment and appliances. We provide quality heating, cooling and commercial refrigeration repair and replacement services. We’re a family owned and operated local business in Bend, OR. We’ve been serving commercial and residential customers since 2000. We’re NATE and RSES certified, as well as fully licensed, bonded and insured. We offer 24-hour emergency service. For all of your residential or commercial heating or cooling needs, get in touch with Commercial Refrigeration Service today. We’re available 24/7!